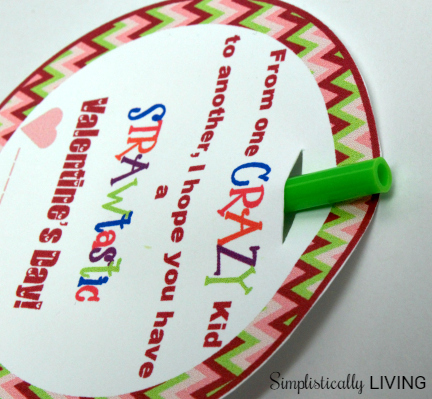 Valentine’s Day is just a few short days away and if you are still needing to throw together some valentines for your kid’s to hand out check out this Crazy Straw Valentines idea! Plus I’ve even created a printable tag to place onto them! 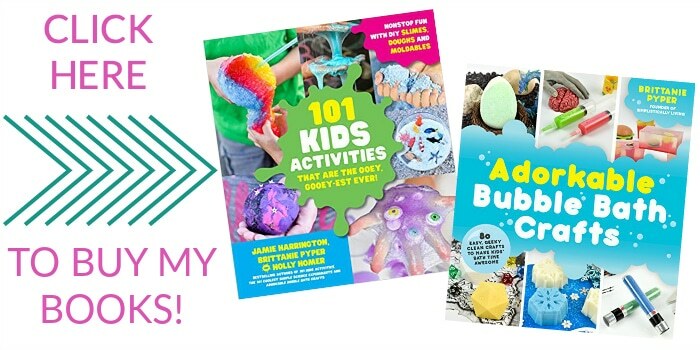 If an item is quick and easy to make and inexpensive you are certainly talking my language! 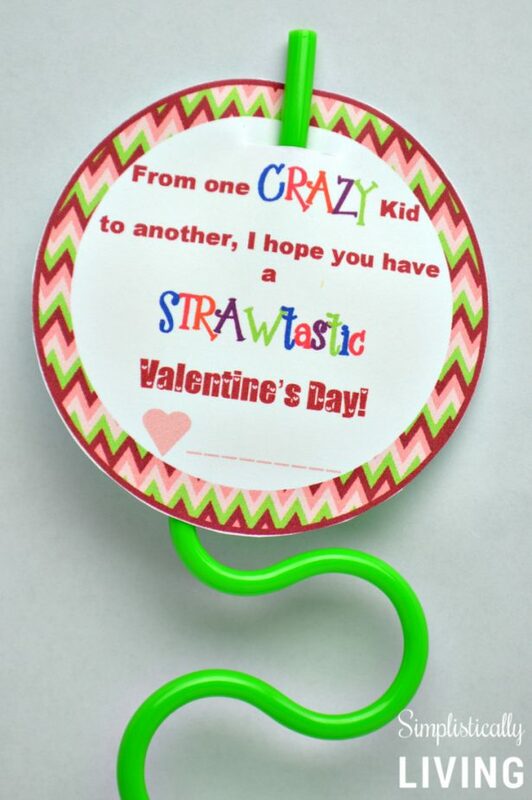 These crazy straw valentines are all of those. In addition, these will make parent’s happy because it’s one less candy bar their child will be going home with. For this project you just need a few simple supplies and a few spare minutes and you’ve got yourself a cute and clever valentine! Start by printing your valentine tags. I suggest using cardstock so they will stay better on the straws. 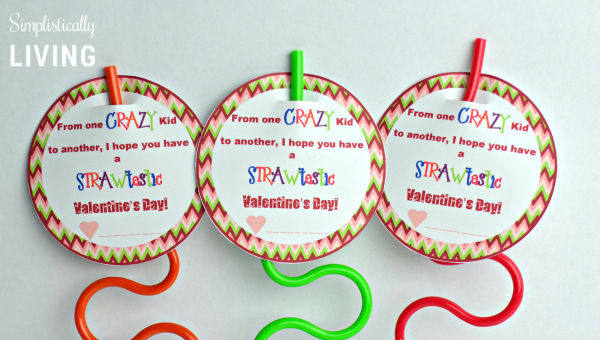 I created some free printable valentine tags which you can download using the link above. Cut each tag out. If you own a silhouette or cricut , you can use the print and cut feature to cut these out in no time. Use a box cutter to cut a small slit in the top of the tag (about 1 inch in size). This will allow the straw to slip through. You now have a cute valentine your kids can give to their friends!